Last fall I had the chance to speak about “Visualizing Water’s Pasts: The Space and Time of Water Uses in the Po River Valley” at the 2014 edition of the Sagan National Colloquium at Ohio Wesleyan University, entitled ” H2O-Water in Our World”. I am really grateful to the organizers for inviting me. If you are interested in what I had to say, here is the video of the talk. As part of my Marie Curie research project, I am currently developing a historical GIS of water uses in the Po Valley, 1860 to the present. This includes hydroelectricity, irrigation canals, urban waterworks, and so forth. It’s a lengthy – and sometimes tedious – process, which involves digitizing and geo-referencing a considerable amount of different sources: archival records, grey literature, historical cartography, and aerial photography. The historical GIS, however, has proved to be an invaluable tool to analyze the transformation in direction and uses of water flows that is the focus of my investigation. 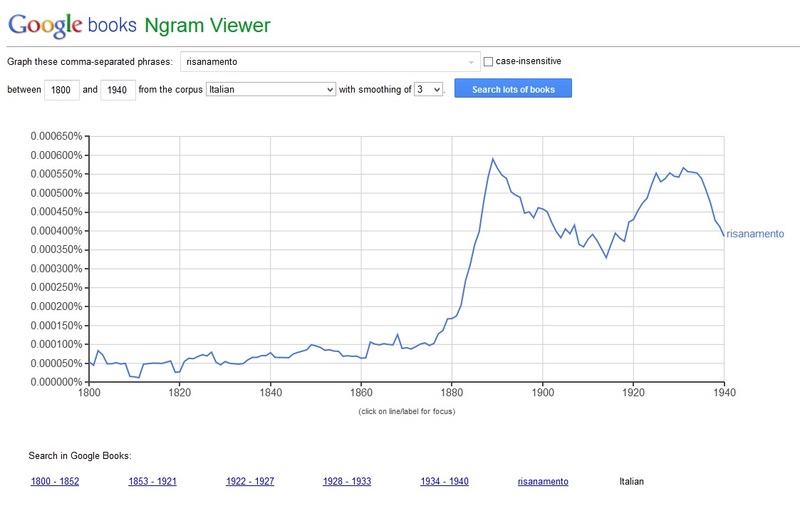 A first, remarkable surge in the use of “risanamento” that starts around 1880 was followed by a second surge around 1920. This periodization corresponds to the findings of historiography on urban sanitation in Italy, and overlaps largely with the periodization of aqueduct building in cities and towns of the Po watershed as revealed by the above map sequence. What the Ngram cannot show, however, is the spatial dynamics of this process, and the extent to which it involved not only major urban settlements but also small country towns and villages. HGIS can help visualize that.